Kitchen renovations are the most popular home renovations—along with bathrooms—and there’s a reason for that. They give the biggest return on investment compared with almost any other kind of property makeover, even upwards of 80-90%, as long as the renovation is achieved with high-quality products and workmanship and not cheaper materials. There are many benefits of investing in a kitchen renovation. In most cases, it’s a safe financial bet, with little risk. But a lot of the benefits aren’t monetary: a new kitchen can completely change the aesthetics and functionality of a home, improving the lifestyle of the family enjoying it, and adding pleasure to their daily routine. One of the biggest benefits of renovating the kitchen in your investment property is the tax deduction. It’s a benefit that’s often overlooked—especially as the kitchen you’re disposing of actually has a residual value, and there are usually quite a few years of depreciation that can be claimed when it’s written off. It might sound too good to be true, but investors can claim depreciation before they’ve even started renovating. Like bathrooms, kitchens usually have a long depreciation lifespan of around 40 years, which can add up to several thousand dollars that can be claimed just by ripping out an out-dated one. 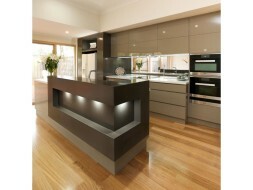 Quality is a very important factor in your kitchen renovation. Don’t be afraid to spend money on items like white goods: the luxury they deliver could mean a better sale price for your property, and even though they have a high depreciation rate, you can claim it—so it’s more beneficial in the long run than buying cheaper items. Investors can also claim plant and capital works allowance for the construction costs of a new kitchen. And with a depreciation schedule in place, the full lifespan of the new kitchen can be claimed as well, which adds up a lot over time. You’ll certainly see bigger tax entitlements as an investor, but renovating your kitchen as an owner-occupier is just as lucrative an investment. In most cases, a new kitchen will add tens of thousands of dollars of value to a property, which is a good deal of equity if you’re planning to live there indefinitely, and almost certainly a better return in the future if you sell. If you’re planning on selling, you’ll be pleased to know that buyers are usually less concerned with having swimming pools or lock-up garages than they are with having a modern, functional kitchen. It’s often the deciding factor in their purchase, whether it’s because they’re attracted to the aesthetic and liveability it delivers, or because they know it means they won’t be parting with a substantial amount of money any time soon to update it. But even when a new kitchen doesn’t add a lot of value to the property, it will prevent you from losing money. If you decide against the renovation before you sell, the valuer could deduct for poor maintenance and upkeep if they were to value the property with a tired, out-dated kitchen still in place. It could also mean the difference between your property sitting on the market for months, costing you money while it’s renovated competitors sell one after the other, or selling fast and delivering you the benefits of the investment earlier. People spend a good chunk of their renovation budget on kitchens, whether it’s for top-of-the-range appliances or the most luxurious cabinetry and bench tops. And while that money can quite easily be recouped—or deliver a bigger return—it’s also an investment in the pleasure of the new kitchen. Luxurious touches can truly change the experience of daily living in your home. High quality pressed metal, glass or tiles will add textural and visual appeal to the space, drawing people into the kitchen to enjoy working on their meals. Always opt for better storage: while not having enough is always a sore point for buyers, ample room will certainly swing the decision in your favour. And if you’re not selling, these are the things you’ll enjoy the most for many years to come. There’s no comparison to the lifestyle benefits offered by a newly remodelled kitchen. The kitchen is often the hub of the house, a gathering place for families and guests to enjoy each other’s company—and when it looks its best, everyone will feel the difference in the atmosphere of the home. It can make an enormous differencethe lifestyle of the occupants, whether they’re owner-occupiers or tenants—and sometimes, that’s worth more than the cost of the renovation. There are a few things to keep in mind when you’re planning a kitchen renovation, that can help you make the most of your investment. To ensure you get your full tax depreciation entitlement for your kitchen, make sure you renovate at least 12 months after you’ve purchased your property—otherwise it might be considered to have no value at all. It’s always worthwhile to hire an experienced tax depreciation specialist or accountant as well, to make sure you’re not missing out on anything you’re entitled to. Consider how long you’re going to be living in your home. If you don’t intend to sell for 5 or 10 years, you’ll be wasting money by choosing cheaper materials and products, because the kitchen will need to be replaced or updated again by then. Spending just a little more could be the difference between throwing away the money on the renovation, and getting several thousand dollars more in extra equity or your sale. There’s no substitute for investing in quality materials when you’re remodelling your kitchen. At Harrison Kitchens & Cabinets, we’ll create the kitchen that’ll give you the biggest bang for your buck, in both financial rewards, and improving your lifestyle. Contact us anytime for more information on how we can help you create a higher-end style, and achieve better longevity and usability, with the best materials and workmanship for your new kitchen.